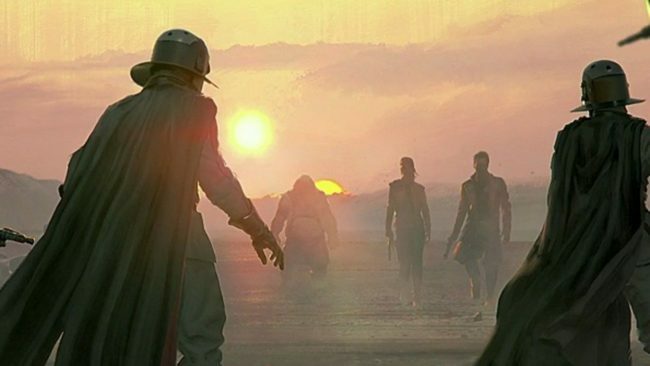 During an interview with IGN, Amy Hennig discussed what her upcoming Star Wars game could have been like before it was canceled by EA. Code-named Project Ragtag, this Star Wars game was being developed by Visceral Games, the team behind Dead Space and Battlefield: Hardline. Hennig was acting as the creative lead. Hennig is best known for her work writing the first three Uncharted games and, if the Star Wars game had happened, it would have had a similar feel. When she was asked about the canceled Star Wars game, the interviewer noted that there were only around six seconds of footage shown. Hennig responded, “…People online go ‘That’s all they had’, and it’s just like ‘Are you kidding me?’ After three years, we had a lot more than that.” She also stated that she wished “that door would have gotten cracked open a little bit more” in reference to her game, since not much was shown of it. The team at Visceral was waiting for their chance to show off their game after Star Wars Battlefront was released, and she wishes more would have been shown before getting canceled. Hennig noted that the Star Wars project was intended to follow the same process as Uncharted, in terms of the way it’s constructed and the characters would have behaved in the world. She wanted to make the characters more improvisational, much like they are in the movies, and referenced Han Solo, Luke Skywalker, and Chewbacca finding disguises to rescue Leia from her prison cell as an example. Improvising was meant to be a game mechanic, which sounds like it could have been really cool. Additionally, the game was meant to feature an ensemble cast. There would have been multiple playable characters and protagonists, just like in the films, too. She mentioned the importance of a large cast in a Star Wars game and noted that it would be integral to the game’s identity. Maybe what’s left of this game will be revived in a future EA Star Wars project, like Jedi Fallen Order. Sadly, Hennig wouldn’t be involved, but it would at least be nice for some of what Visceral worked on to appear in one way or another. What would you have liked from the Visceral Star Wars game? Let us know!